Lizzy Hoyt is a woman of many talents. 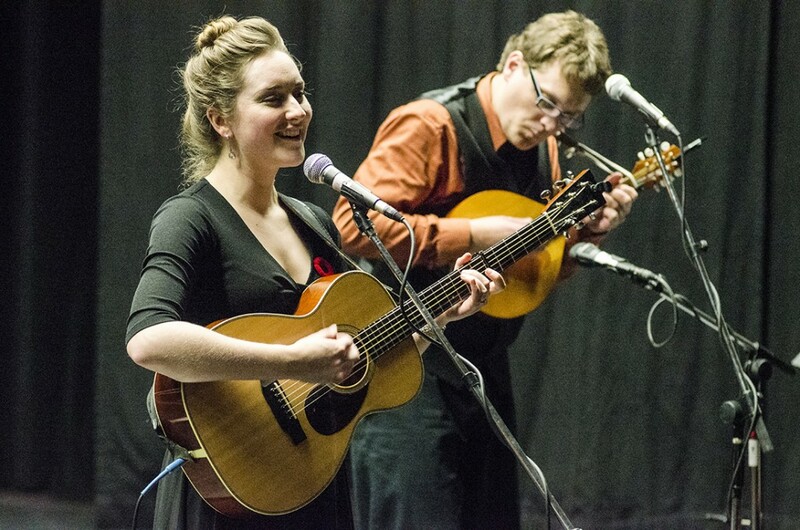 The humorous Canadian fiddler, singer, songwriter, and, as if those weren’t enough, tap dancer, visited TRU on Nov. 6 to play in the Alumni Theatre for her second time through the Live at TRU! concert series. Roughly 85 people gathered to watch Hoyt perform. 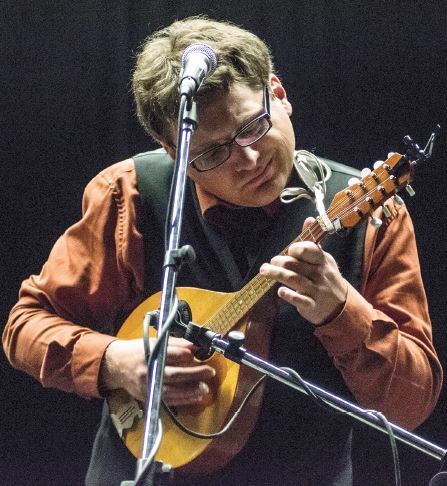 With violin in-hand, Hoyt’s charisma poured over the audience, with some sitting in awe and others clapping along to the Celtic rhythm. Hoyt was accompanied by her band of five years, which included Chris Tabbert on mandolin and acoustic guitar and Keith Rempel on upright bass and harmony vocals. To add to the instrumentals, Hoyt not only had her violin and guitar, but her harp, which she learned to play by ear. with the prairie-folk feeling of “New Lady on the Prairie,” off her newest album of the same name released in early October. With every song having a story for Hoyt to share, the audience was taken on a short journey through Hoyt’s interest in the history of the Second World War and Vimy Ridge. “The Pantheon,” performed by Hoyt and her guitar and written by Hoyt after her experience visiting the Pantheon in Paris, France, told a story of three influential people buried underneath the iconic building. “Their stories struck me and I wanted to share them with other people,” Hoyt told the audience. The first verse focused on Les Justes de France, those who hid Jewish people in their homes during the Second World War. The second verse told the story of Jean Moulin, an influential member of the Resistance. The last verse paid remembrance to Marie Curie, two-time Nobel Prize winner. Continuing a Remembrance Day theme, Hoyt shared her experience visiting the Vimy Ridge Memorial in France. “It’s really cliché to say, but it was a life-changing moment,” Hoyt said. In an area close to the memorial, a German cemetery stretched “for as far as you could see” with wooden-crosses marking the dead. “Every single cross, there were four men buried,” Hoyt said. Hoyt became especially interested in this history, wanting to find a way to share the stories she found with younger generations. 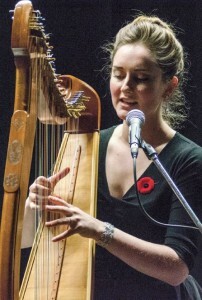 Her performance of “Vimy Ridge” captured the audience with chilling vocals and the experience of war from the perspective of a young woman. “Hopefully it would be something that sparked someone’s interests. A song like ‘Vimy Ridge’ that’s just under 5 minutes – that’s not reading an entire novel on the battle of Vimy Ridge,” she said. After a few years of researching the history of both the First World War and Second World War, Hoyt looked for the personal elements she could turn into song. “I think people will always connect better when it’s something they can relate to,” Hoyt said. Hoyt finished her performance with some traditional “fiddle tunes” and some of her own in a mash-up of “The Jubilee Reel,” “Diamond in the Rough” and “Calliope House.” She wowed the audience one last time with a tap dance routine, as if she hadn’t wowed them enough. The Live at TRU! concert series will continue after the winter break with French pianist Maxim Bernard stopping by on Jan. 6, 2015.